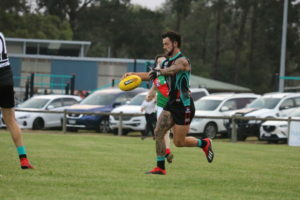 Seven goals from new forward Nathan Gardiner has inspired Cora Lynn to a 45-point win against Tooradin Dalmore in Saturday night’s season opener. Gardiner, who arrived from Cranbourne in the off-season, tallied six of his seven majors after half-time as the Cobras broke the game open, turning a four-point lead into a 15.10 (106) to 9.7 (61) win. It was actually the Seagulls that made the more confident start, registering the opening three goals of the game through Jake O’Donnell, Andrew Dean and Jake Cronin. 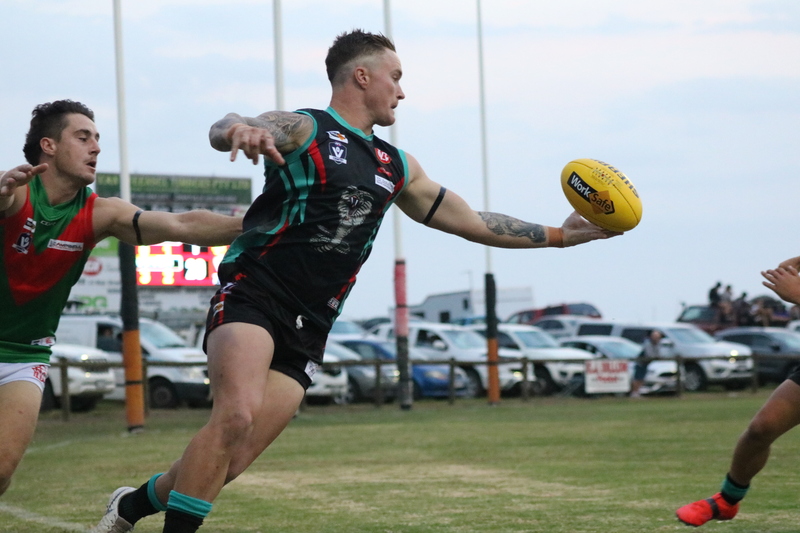 The Cobras hit back though, aided by a strong breeze, with goals to Troy Tharle and skipper Travis Woodfield, before Tharle converted a set shot after the quarter time siren to square things up at the first break. Things tightened up in the second term with Cobras skipper Jackson Dalton linking well with Jai Rout to cancel out Julian Suarez’s opener and help his side hold a slender lead at the main change. The visitors once again struck first after half time but Cora Lynn responded again, this time decisively. Gardiner got loose over the back to run into an open goal, before marking strongly and converting to stretch the lead. When a pinpoint pass from Nathan Langley found Gardiner on the edge of the goal square, the margin was out to a game-high 21 points. The Seagulls needed a quick response in the final term if they were any chance of overturning the 28-point deficit. However, it was the Cobras that landed the first blow, with goals to Dalton and Gardiner pushing the lead to 40 points. The reply eventually came but all too late. Waide Symes, Suarez and Kris Sabbatucci all hit the scoreboard, the latter via a classy finish from outside 50 on the run to draft their side back within 22 points. But just as it looked as if the home side but running out of legs, Woodfield snapped them out of their funk before Gardiner sealed the win with a flourish – pulling down a soaring mark and converting two set shots in impressive fashion. 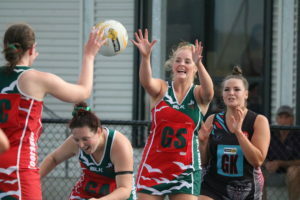 Meanwhile on the netball courts, it was a winning start for Tooradin Dalmore’s A Grade side, with the Seagulls recording a 55-15 win. 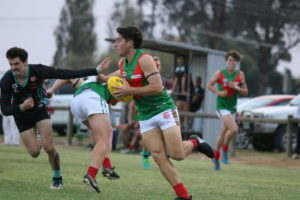 In other results, Tooradin Dalmore won the reserves and thirds football matches, while spoils were shared in the netball as the Seagulls took the points B grade and C grade but the Cobras won all three junior grades.